Sinus surgery may be necessary for people who have chronic recurring sinusitis but don't get better after trying medication or other treatments. The goal of sinus surgery is to enlarge the sinus openings to allow for better drainage. Sinus surgery has been performed using an endoscope since the 1950s. A tiny fiber optic tube is inserted through the nostrils allowing the surgeon to visualize the sinus cavities. The surgeon will then use other instruments to open up the pathways from the sinuses to the nose and allow for better drainage. No external incisions are made with this method of sinus surgery. In some cases, image-guided (using a CT scan) sinus surgery may be necessary. This is because the sinus cavities can be very close to the eyes, brain and several major arteries. This allows the surgeon to visualize these structures and avoid them. In most cases, sinus surgery is performed on an outpatient basis. Your surgery may be in a hospital or a surgical center but in most cases you will go home the same day of your procedure. Before the surgery, your surgeon should explain the benefits and risks. Risks of sinus surgery may include but are not limited to: bleeding, infection, and allergic reactions to medication given during surgery. Risks are involved in receiving general anesthesia. If you have a family history of a bad reaction to general anesthesia, inform your doctor. Stop taking medications which may thin your blood 1 to 2 weeks before your sinus surgery (be sure to clarify with your surgeon which medications you should stop taking and when). These medications include aspirin, warfarin, ibuprofen and large doses of vitamin E.
In most cases, a nurse will call you the day before surgery to give you instructions and the time of your procedure. You will be given exact instructions on when to stop eating and drinking the night before your surgery. Due to the risk of vomiting and aspiration, your stomach and bowels need to be empty. You should also refrain from chewing gum, sucking on mints or smoking. Remove all metal from your body before sinus surgery including jewelry and body piercings. You will also need to remove contact lenses, dentures, retainers, or hearing aids. 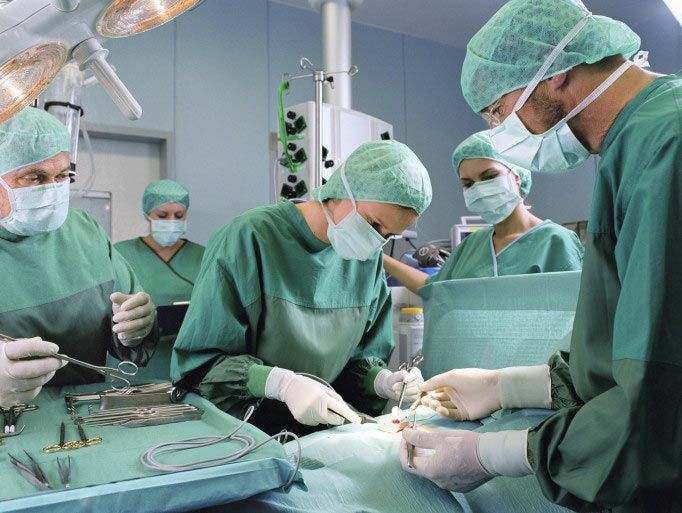 Wear loose comfortable clothing the day of surgery. If you are a woman of child-bearing age (usually ages 12 to 55) and have not had a hysterectomy, you will be required to take a pregnancy test. This requires a small amount of urine. If you have additional health problems or are on prescription medications, your doctor may order blood tests. A nurse will watch you for a couple of hours after surgery to make sure that you are not having a lot of pain and that you are able to eat and drink. She will also monitor your blood pressure, heart rate, and oxygen levels. In the rare event of an emergency situations such as heavy bleeding, difficulty breathing or chest pain, you should go to the emergency room or call 911. You will most likely be given narcotic prescription medication after your surgery such as Percocet or Lortab. Follow your physician's directions for taking this medication. Do not drive. If this medication makes you nauseated, you may want to try taking it with a small amount of food. In some cases, surgeons may also order anti-nausea medications or antibiotics. Make sure you clarify with your nurse before discharge at what time you should start taking these prescriptions as you may have already been given doses of anti-nausea medication or antibiotics during surgery. Many surgeons recommend using a cool mist humidifier or a saline nasal spray after sinus surgery. Your surgeon will want to see you in his office a week or two after your surgery to make sure that you are healing properly. Why Do Sinus Infections Happen? When is TMJ Surgery the Right Choice?